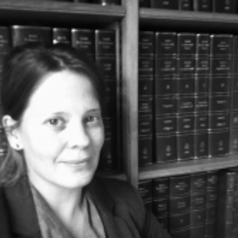 Sarah Logan is an international relations scholar, a member of the Allens Hub for Technology, Law and Innovation and a Postdoctoral Fellow at UNSW Law. Sarah's research interests include the impact of the internet on international politics, online counterterrorism policy and computational social science methods. Her PhD, completed at the Australian National University, compared counterextremism policies in the UK and the US. Prior to entering academia Sarah worked as a researcher in government.